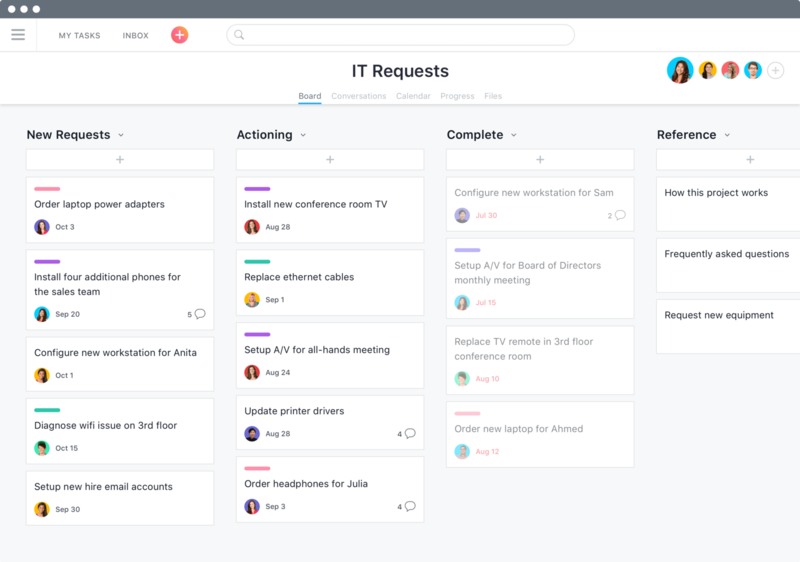 Asana is powerful enough for any workflow, but easy enough for any team to use. Any team can track progress, identify blockers, and collaborate on projects across the company. 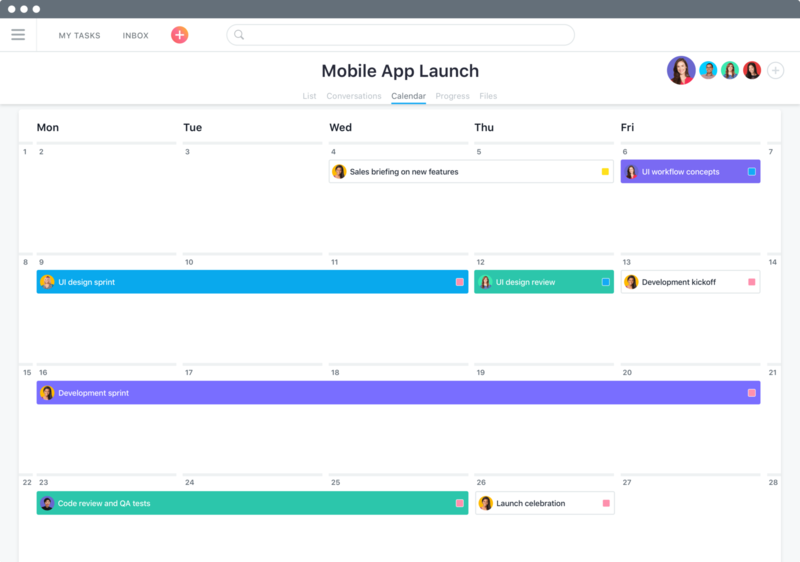 Asana’s web and mobile apps help you stay on track, keep projects organized, and hit deadlines. See project progress, track individual tasks, Plan sprints, integrate with other tools, and achieve successful launches. 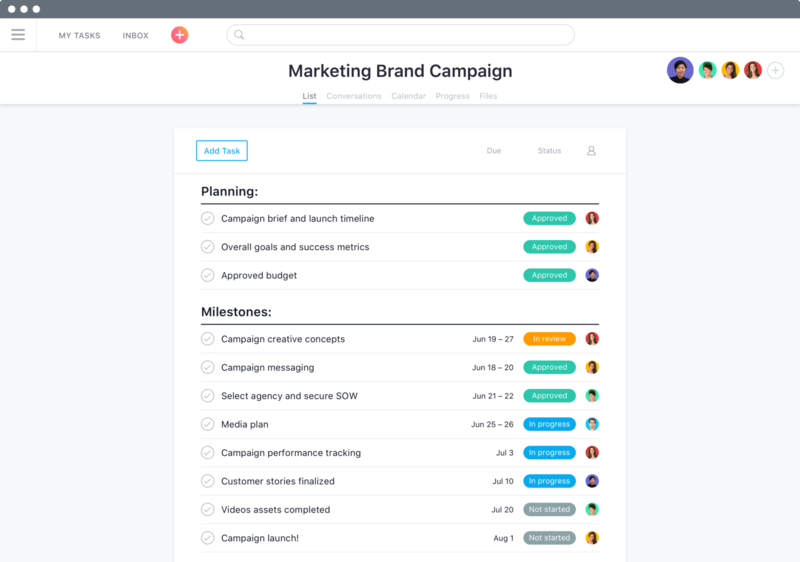 Visualize your progress on projects with Asana boards as your team moves tasks from do to done. Successfully managing projects requires more than a spreadsheet. Consider this before using Excel. Plan projects according to your team’s workflows and make templates for recurring work. Manage to-do’s, collaborate with teammates, and stay on top of progress all in one place. 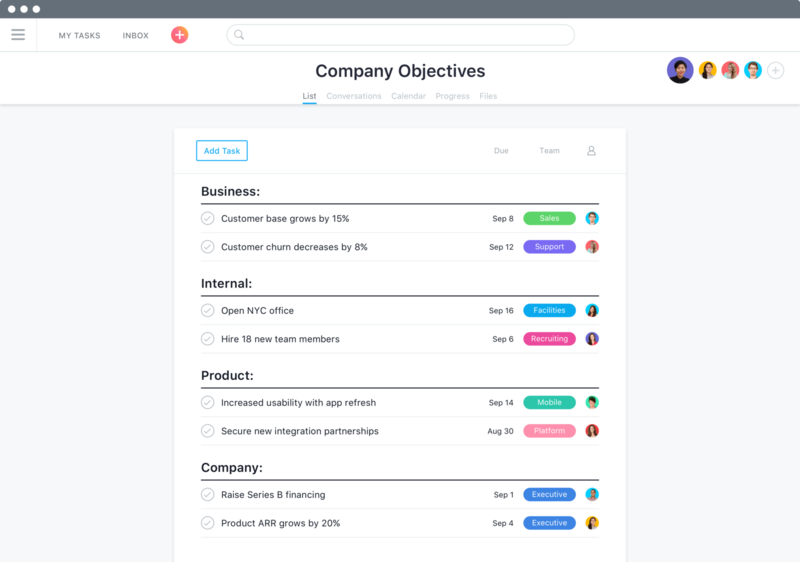 Collaborate on everything from routine tasks to your team’s biggest goal yet — all from within Asana. Create tasks with due dates, set reminders, and organize them into lists to prioritize and organize your work. See all of your team’s work in one calendar — so you know exactly who’s doing what by when. Create customizable to-do lists to prioritize and organize your work. 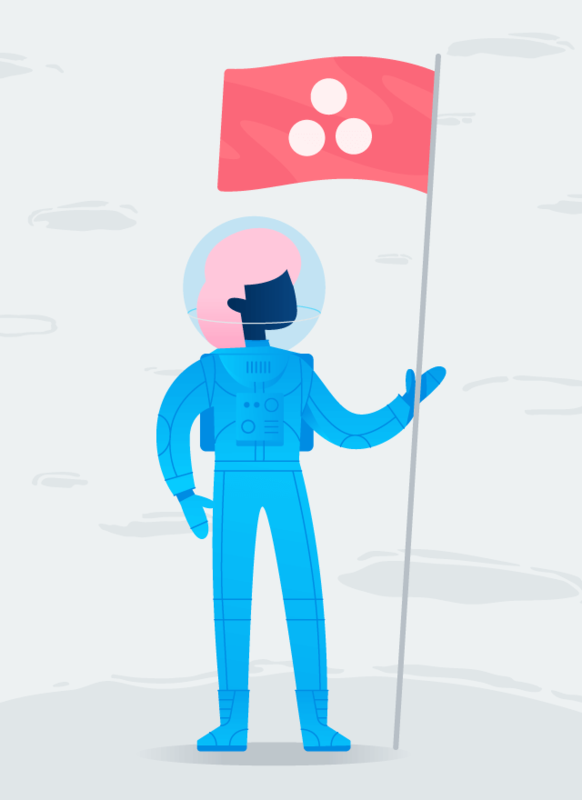 Post status updates, share team-wide announcements, and collaborate on tasks — all in Asana. Easily define roles and responsibilities, keep your team focused on quality, and tailor your approach for each project. Use Asana to keep all the projects in your program organized and on track. 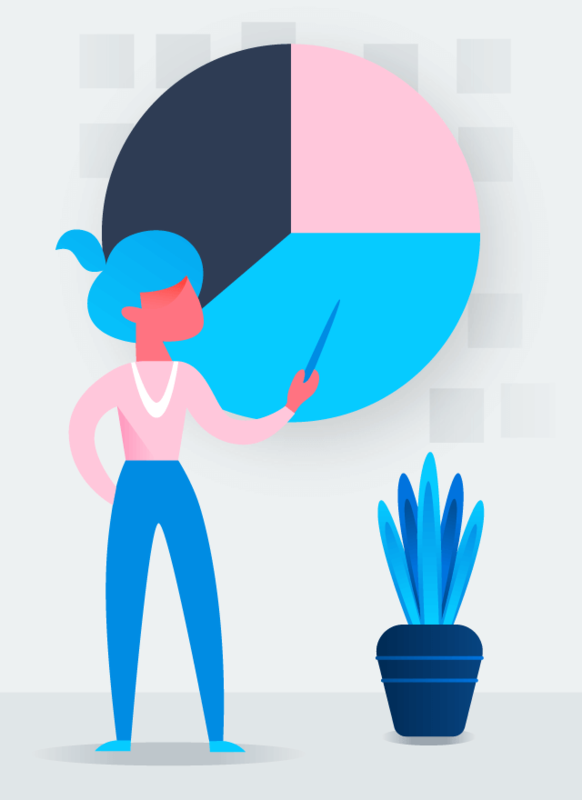 Map, manage, track, and talk about your team’s projects in Asana to go beyond planning and get results. 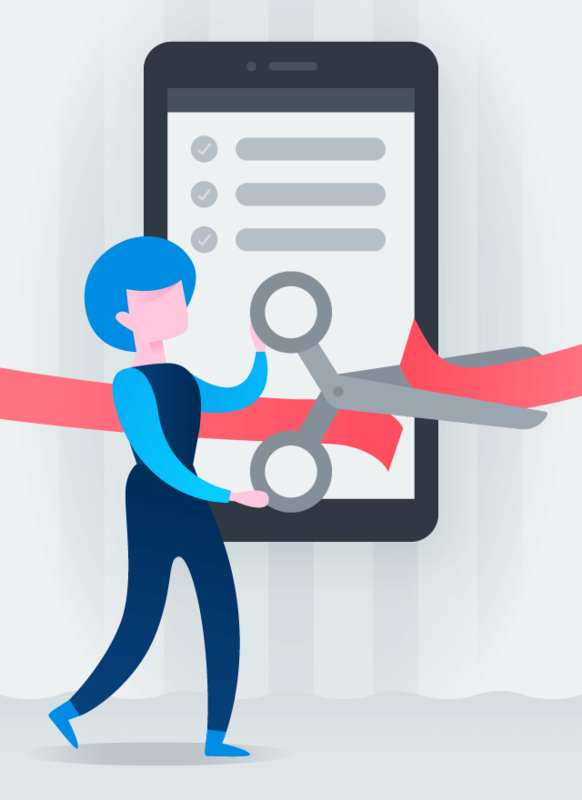 Save time, reduce distractions, and work more productively by centralizing your team’s work in Asana. Track tasks and projects in one place, so everyone understands how their work fits into the big picture. Track deadlines, timelines, and calendars so you always know who’s doing what, by when. Manage all the moving pieces of your next project in one place so you can hit your deadlines. 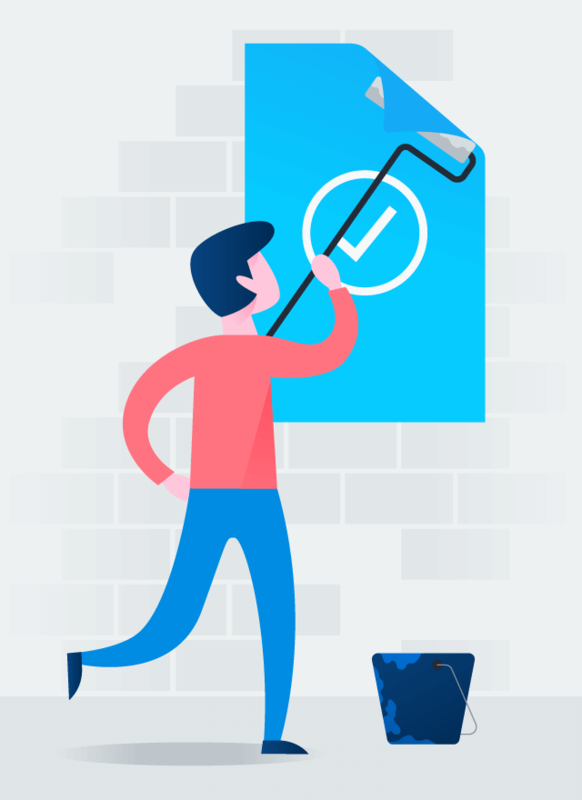 Standardize common workflows, like IT requests, so tasks get taken care of quickly and easily.